New deck design from Creature Skateboards! hope all is well.I know I promised to post more frequently and I am still trying to. I just got a note by my friend Lee from Creature Skateboards that my new deck design is available now. New print "The Native" available Tuesday August 6th! I know it has been a little quiet around here lately but I had a lot going on and most importantly I got married to my beautiful girlfriend and now wife! 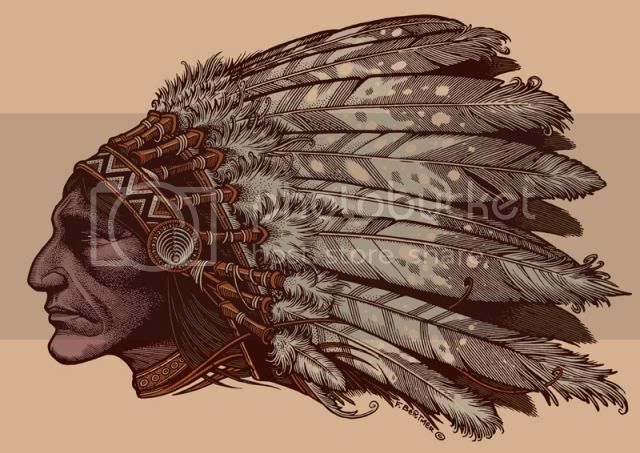 But - it's not like I have been totally inactive because secretly I had the good folks at Shirts & Destroy have the also good folks at Burlesque print my newest print titled "The Native". The drawing itself was inspired by an old photograph of Whirling Horse,who supposedly was a member of Buffalo Bill Cody's entourage.